Parallel Eyes Workshop - Sony Computer Science Laboratories, Inc. 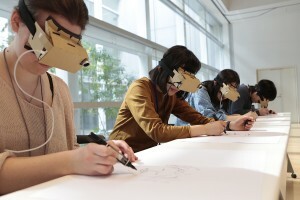 The Parallel Eyes workshop involves drawing and playing tags with swapped visual feeds. 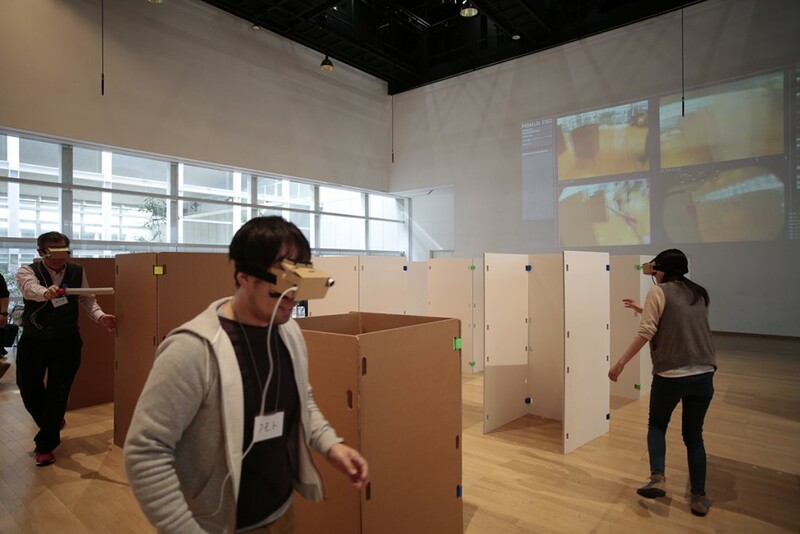 Participants wear HMDs that display videos from the cameras they are wearing as well as videos from cameras worn by other participants, creating more complex scenarios. The workshop is an opportunity to intuitively learn about the possibilities of expanded perception and networked experiences generated by new forms of relation between the self and others. Participants are obliged to think about ways of assessing situations using both their own perspective and the perspective of others, and to observe how self-awareness based on multiple visual inputs can be different.